Its been a great week so far with lots of attention and focus to a new collection of paintings recently delivered to 'The Headrow Gallery' in Alwoodley, Leeds which is great news. Maxwell Roberts (the entrepreneurial gallery owner) knows a good thing or two when he sees it and as such I am really honoured to have been selected to have my work featured in the gallery once more to capitalise on our successes we had together at the start of the year also. 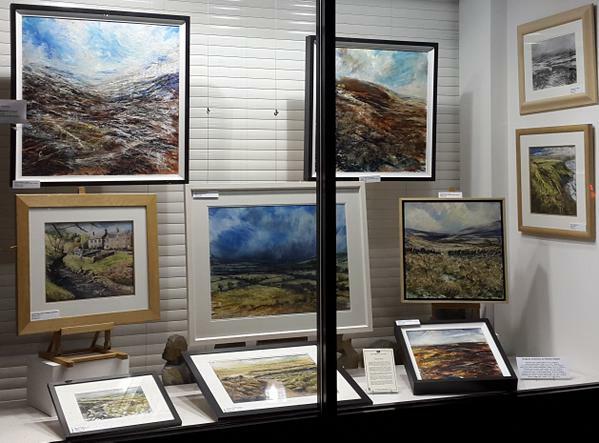 The new landscape collection of my work on display in the 'window to watch' features expressive contemporary paintings from around the region to include the north York Moors, the famous Ilkley Moor and Rombalds Moor in North Yorkshire , Pennine drawings, the East Coast and of course one of my favourite Dales - Swaledale (the painting in the white frame in the middle of the photo above created with mixed media...and lots of expression! You'd not think you could get all of that 'landscape' into one window could you! Well, as you can see, with a really superb professional display by Max you can see he has! So much of Yorkshire in one window- amazing! An even bigger surprise is the affordable prices of this award winning work with special terms for purchase which Maxwell will be happy to discuss with you. 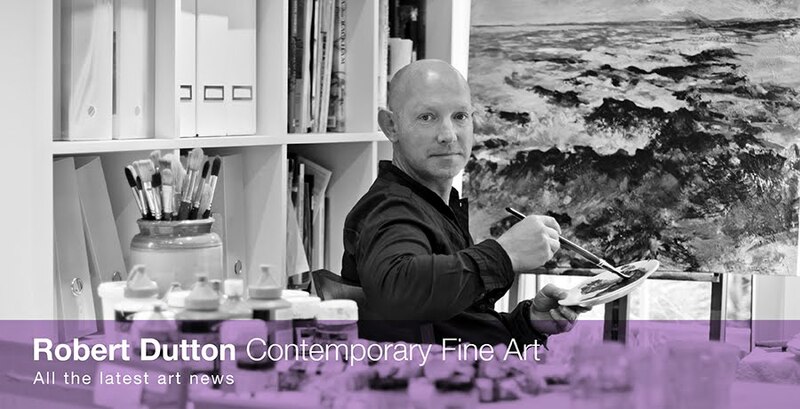 The collection won't be hear for much longer though - the final week for this work to be seen altogether so, as they say in the advertising game 'this really is an opportunity not to be missed' to have an original of mine from some personal favourites at a great price from a superb gallery!